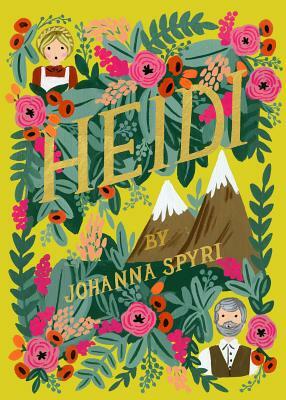 The classic story of a little orphan girl in the Swiss Alps, with beautiful cover illustrations by Anna Bond, the artist behind world-renowned stationery brand Rifle Paper Co.
Based in Winter Park, Florida, Anna Bond of Rifle Paper Co., a worldwide stationery and gift brand, is an artist best known for her whimsical designs which often include hand-painted illustrations and lettering. She has created unique floral illustrated covers for the Puffin in Bloom book collection, which includes such classics as L. M. Montgomery's Anne of Green Gables, Little Women by Louisa May Alcott, and A Little Princess by Frances Hodgson Burnett. Johanna Louise Spyri (1827-1901) is one of the most famous children's writers in the world. She grew up in Hirzel, a small village in Switzerland and has written over twenty-five books.